We make exceptional custom kitchens here at Kitchens Direct in the Adelaide Hills, but that’s not all Chris Bamford and his expert team specialise in. Any other custom kitchen & cabinetry requirements you can think of! Every kitchen, cabinet and even every shelf is made the expert care and experience that Chris Bamford brings. 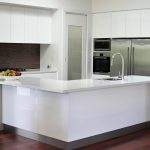 Kitchens Direct by Chris Bamford offers a free in-home measure and quote service for kitchens in the Adelaide Hills, and other custom projects. Our quotation will also include 3D images to enable you to see what your finished project will look like. We also provide quotes for kitchens in Adelaide city and other areas of Adelaide and suburbs, though because of the long travel times required, a small quotation fee may apply. Please contact Kitchens Direct today for more details. 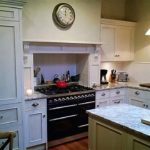 Kitchens Direct are experts in kitchen renovation projects, with decades of experience in everything from the smallest to the toughest kitchen renovations. We’re not afraid of tackling any job and we know how to make an old space beautiful and add value to any home. Whatever your kitchen renovation project needs, let Kitchens Direct make it easy for you. Contact Kitchens Direct today for your free assessment and kitchen renovation quote. Kitchen renovations in Adelaide Hills areas only, to ensure we can deliver the highest standards of quality and service locally. We take as much pride in installing our Adelaide Hills kitchens as we do in designing and building them; after all, a finished kitchen can only ever be truly beautiful if it’s beautifully installed. 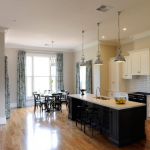 At Kitchens Direct, our kitchen installers are all also experienced kitchen and cabinet makers, which means they know exactly what needs to be done to ensure a top quality kitchen installation that will last for many many years. At Kitchens Direct you’ll get only the best, most attentive and careful kitchen makers working with you on your project from conception right through to your top-notch kitchen installation. Contact Chris Bamford at Kitchens Direct today for your free quote.